My one word movie review: tensor. Explanation: Inception is a layered version of The Matrix. Overall, Dark City, The Matrix, and Inception are my 3 most favorite movies in this category. 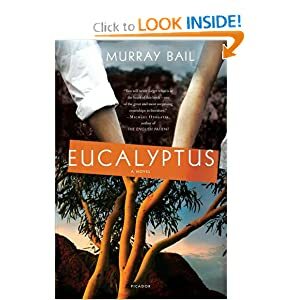 This is an unorthodox love story weaved from sub-stories around individual gum trees. The writing can be as rough and patchy as the (author’s) Australian landscapes, but the book is short, sweet, and unique enough to worth reading. To me, Chinese is more of an art than a language, and most Chinese literature, especially these classical ones, cannot be translated to another language without losing their original beauty and meaning. Below is a modern short poem (fragment?) that I have found to be more or less translatable without being sacrilegious.